If you are looking to transform your home with bespoke luxury furniture in Rickmansworth, you’ve come to the right place. 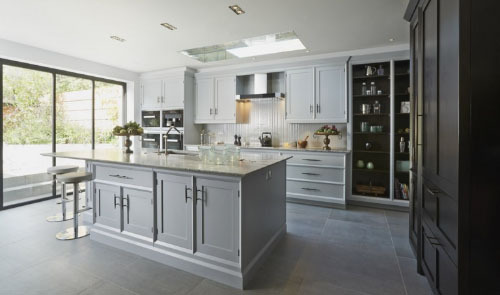 McCarron and Company design, build and install the very finest handmade kitchens, bathrooms, living rooms and bedrooms. From our showrooms in London and Wiltshire we can work with you from concept through to completion. Just like the kitchen, the modern bathroom has evolved to meet more than just its original function. These days it is a combination of living space and personal sanctuary. In our portfolio you will find many examples of bespoke bathrooms in Rickmansworth that we have designed from start to finish. We work in close partnership with clients, interior designers and architects. Bespoke bedrooms and dressing rooms provide many opportunities for creative design that optimises the combination of aesthetics and functionality. Here, you want to make the most of your space, accommodate items of all sizes, provide both storage and display space. You will also want to retain a sense of order and calm. At McCarron and Company, we have experience in designing bespoke luxury bedrooms in Rickmansworth from scratch. We can create ingenious fitted furniture to complement your existing space. We have created panelling, installed skirting, designed bespoke shelving, cupboards and displays, modern media centres and individual items of furniture. Everything you need, in fact, for a bespoke luxury living room in Rickmansworth. If you want to make the most of an extra room or space, come and discuss your vision with a McCarron and Company designer. We are experts at turning these spaces into beautiful, useful, luxury utility rooms in Rickmansworth – a wine cellar, for example, or a utility room with storage and fitted cabinetry, a games room, or a bar. We love designing and fitting individual rooms and creating one-off items of furniture, but we have also undertaken many whole house projects in Rickmansworth, working closely with interior designers and architects to bring a completely coherent look to rooms and connecting spaces. 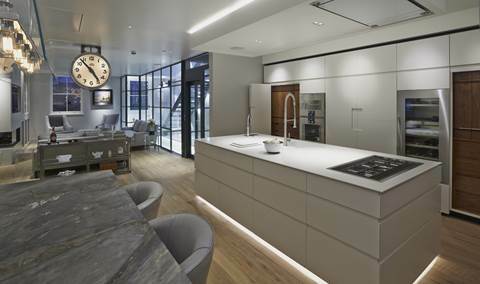 We can take the lead of your design team to ensure that interiors work perfectly within the architectural setting, and we can also create a design vision for bespoke luxury furniture in Rickmansworth, and then make and install every item.